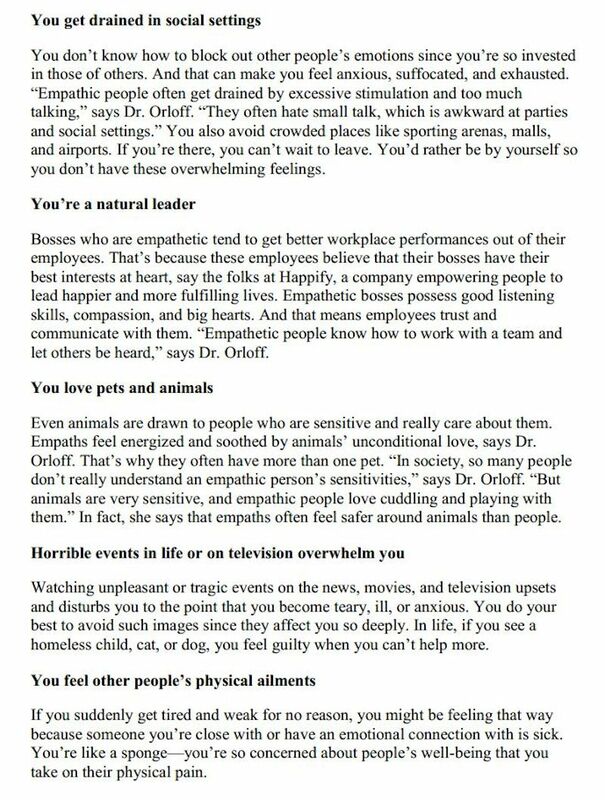 Do you show the signs that you have empathy? Do you find that people often seek your feedback and support? Do people often come to you with their problems? Do you feel guilty when you can’t help someone in need? 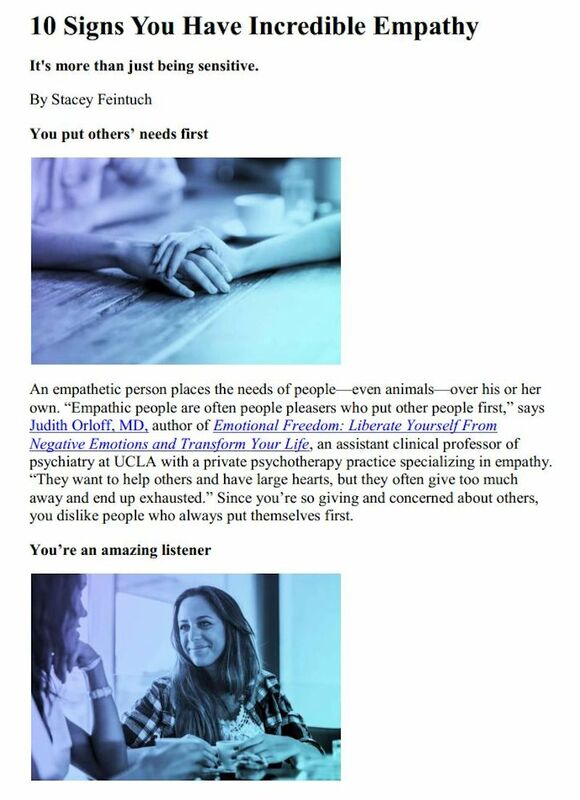 Empathic people often put others first. An empath has a desire to understand what someone is going through. But they go further: they want to take a suffering person’s pain away. 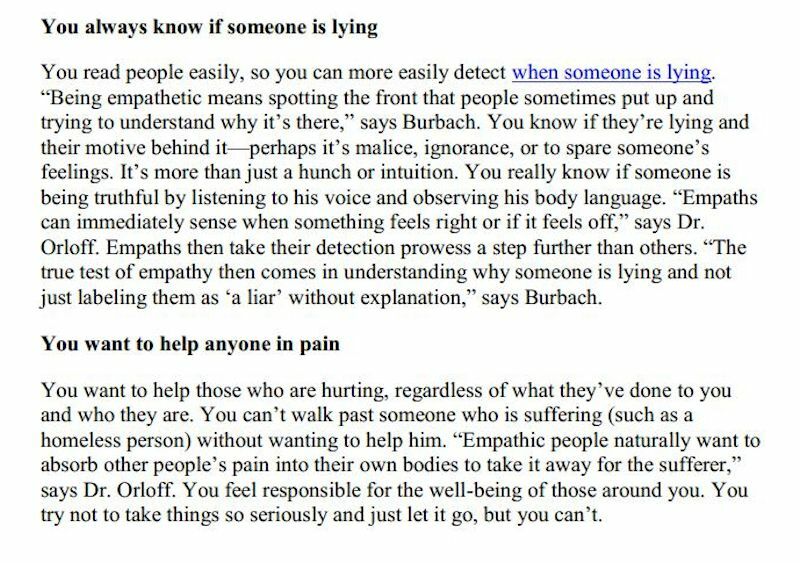 Being empathic has incredible benefits such as greater intuition, compassion, creativity and a deeper connection to other people. But living in this state of high sensitivity also comes with its challenges, such as becoming easily overwhelmed, overstimulated, exhausted, or absorbing the stress and negativity of others. 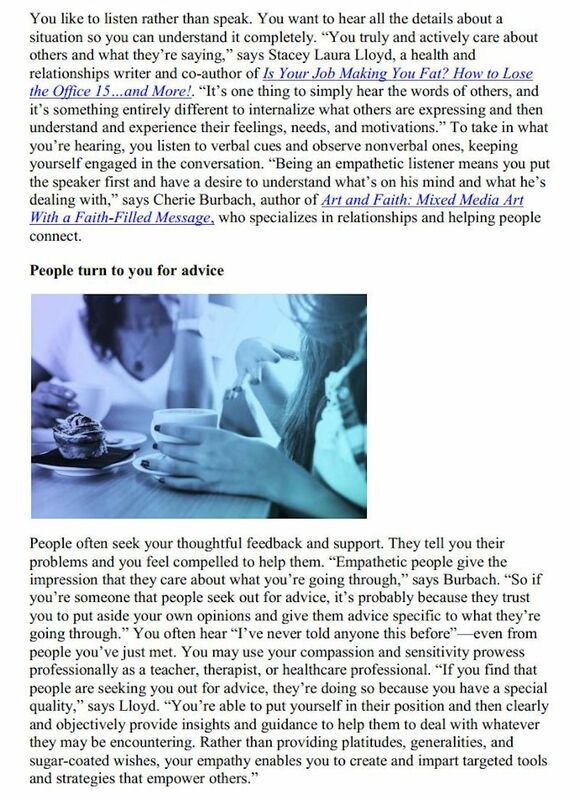 In this Reader’s Digest article, I share the skills and characteristics of being an empath and how to focus these gifts for your highest and best good. Read the full article on Reader’s Digest here.